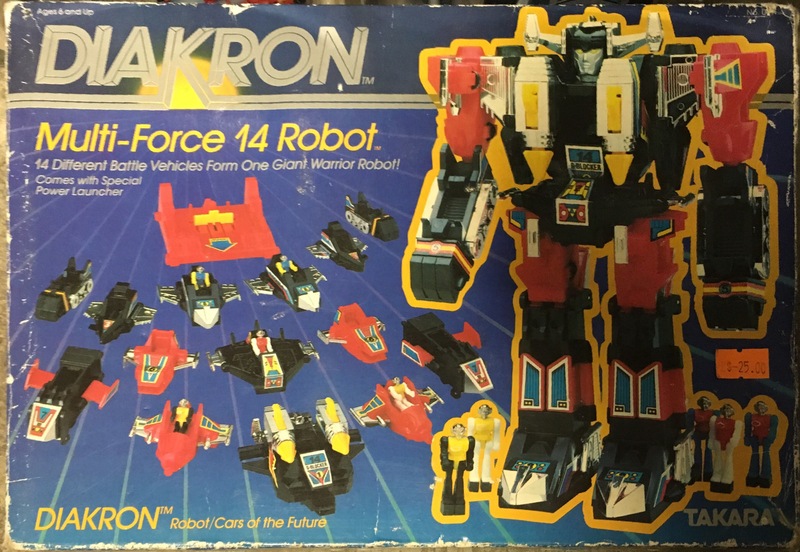 From Takara, purveyor of Micronauts, Timanic, Transformers and Microman, comes the fleet of ships on one giant robot Diakron Multi-Force. 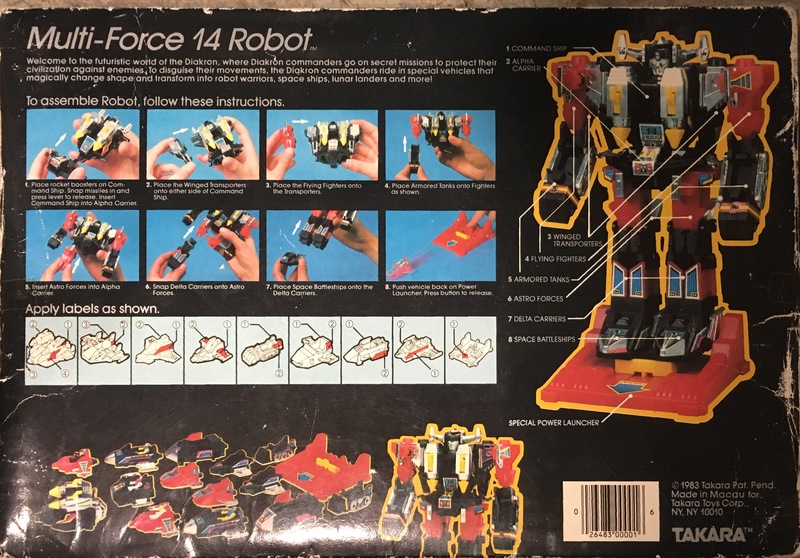 Check out the back to see how his various limbs and body parts become a huge array of smaller ships. Takara, more than any other company, nailed the transforming bot toy category. It would have been so awesome if they’d done a film partnership with Toho. I could totally see this guy going toe to toe with Godzilla.